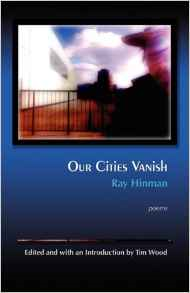 Ray Hinman returns the strength of history and culture to language. Unashamed of thought, uninhibited by the current fashion of poetic anti-intellectualism, Hinman speaks from a foundation of tradition, yet fashions his structures with the touch and sites of nature. Definitely modern, he unites civilization across time, refuses to surrender to the triviality of high technology, though hints that our era stands out in this defiance of human greatness.His rhythms flow with the love of language's music, and like the Whitman whose ghost tours his city, he finds in the urban tableau the clues to what we search for in clustering into cities.